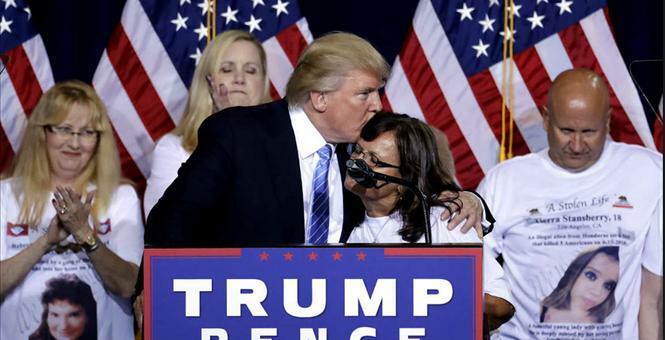 President Trump is keeping his word to the ‘Angel Moms’ out there… those families who have lost loved ones to criminal illegal aliens. Funds used to advocate for these criminals under the Barack Obama administration have now been redirected to the Victims of Immigration Crime Engagement Office, where assistance will instead be given to the families of their victims. That is the right thing to do and I applaud it. President Trump has long voiced his concern for these families and victims of illegal aliens. Now, he’s doing something about it. Trump called and visited these families. He recognized them at rallies and brought them on stage. He truly feels for them and I believe is seeking to right a tragic wrong here. These families should no longer feel “marginalized and without a voice.” It’s bad enough they lost someone they love, when it could have been prevented… but to then see these criminals protected and defended goes far beyond insult to injury. It is a travesty. Nothing will bring back their loved ones… but at least some justice will be done here and maybe the prevention of others dying needlessly. No more advocacy for those that aren’t American citizens. Now, these thugs will be deported and with security on our borders, they won’t be back. I read this morning from Ted Cruz, that just the fact that Trump has been elected has caused the number of aliens coming over our borders to drop by 50%. Imagine what will happen when the wall is in place and there are drones and agents patrolling it. I think it is a mistake to keep DACA in place, but every other illegal alien is now subject to deportation. I’ll take it. With 10,000 new ICE agents and 5,000 more Border Patrol agents coming on, there is going to be a heck of a lot of deportations ramping up. I also understand that services such as welfare are being cut off to illegal aliens as it should be. The rule of law will be observed once more and criminals will be treated like criminals. Lives and money will be saved and our sovereignty reinstated… it’s a very good start towards making America great again.